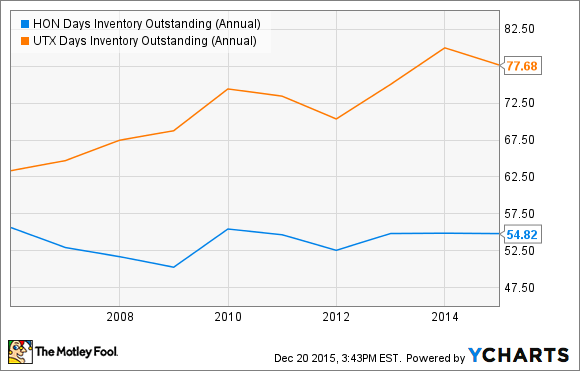 Could UTX's focus for 2016 give it some Buffett-style-stock traits? Next year promises to be one of transition for United Technologies (NYSE:UTX), as the company positions itself to generate long-term recurring revenue and cash flow. In doing so, the aerospace and construction giant is likely to become a Warren Buffett type of stock. What does that mean? Readers who like investing in the style of the legendary investor should read on and take a closer look. Ever since former CFO Greg Hayes became CEO in late 2014, the market has speculated on what direction the company would take. November marked the completion of the Sikorsky sale to Lockheed Martin as part of management's refocusing on its core commercial aerospace and construction businesses, but that isn't the only thing. United Technologies is also moving toward more of an operational focus on improving return on invested capital, or ROIC, rather than chasing earnings growth -- a classic Buffett-stock trait. Pratt & Whitney will ramp up sales and production of its geared turbofan engines, primarily for the Airbus A320neo, which will lead to strong long-term aftermarket revenue in the future. These factors are discussed in more depth elsewhere; the key point here is the positioning toward generating long-term sales and cash flow, even while facing near-term earnings headwinds. Again, a disciplined long-term investor like Buffett wouldn't worry too much about the latter while the former was on track. Moreover, Buffett would probably like Hayes' outline of future ROIC improvement plans at the recent investor day. Improving ROIC means a company can generate the same return but with less capital, thus freeing up capital to be used elsewhere. This is believed to be of key import to Buffett. Also, note that increasing ROIC doesn't necessarily require growing revenue or earnings -- although, all things being equal, it would obviously help. Hayes discussed generating working-capital improvements, partly by managing inventory better, while he also outlined a multiyear restructuring plan aimed at reducing costs in high-cost locations. Indeed, a comparison with its closest peer, Honeywell International (NYSE:HON), demonstrates the opportunity for United Technologies to improve productivity. 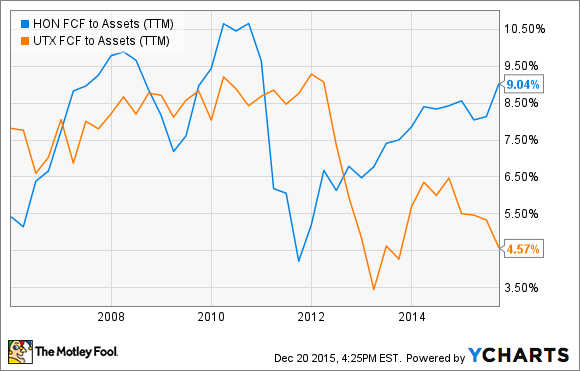 Finally, let's look at free cash flow to assets. 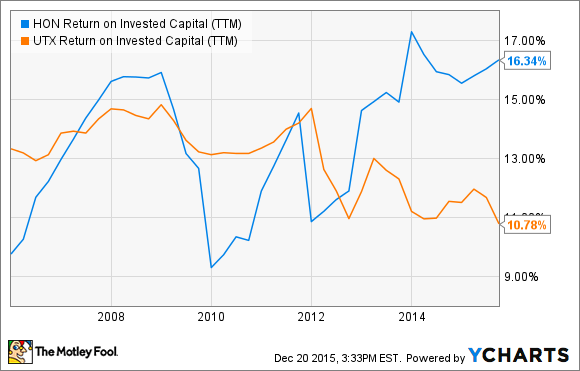 Here again, United Technologies has work to do if it wants to catch up with Honeywell.